Oil tankers from China, Japan, Greece, Turkey and the Seychelles have been chartered to ship Iranian oil. Iran’s oil exports ramped up much faster than what analysts had expected as more than 25 European and Asian-owned supertankers agreed to ship Iranian oil, according to data recorded by Reuters. Port loading data, as well as live shipping data show at least 26 foreign tankers which can carry over 25 million barrels of light and heavy crude and fuel oil have either loaded crude or fuel oil in the last two weeks; or are about to load at Iran’s Kharg Island and Bandar Mahshahr terminals. Some overseas ship-owners, however, remain hesitant to handle Iranian oil mainly because of some US restrictions on Tehran that ban any trade in dollars or prohibit any US firm involvement, including banks and reinsurers. In addition, Iran was struggling in April to find business partners who will ship its oil, but after an agreement on a temporary insurance fix, more than one-third of Iran’s crude shipments are now being handled by foreign vessels. “Charterers are buying cargo from Iran and the rest of the world is OK with that,” said Odysseus Valatsas, chartering manager at Dynacom Tankers Management. The Greek owner Dynacom has already fixed three of its supertankers to carry Iranian crude. Meanwhile, Iran is currently seeking to make up for lost trade after the lifting of sanctions imposed in 2011 and 2012 because of its nuclear program. With more international vessels supporting Iran’s tanker fleet, traders said that the country’s oil exports were now close to pre-sanction levels of around 2.5 million barrels per day. “Iran has ramped up harder and faster than expected,” said Citi analysts. However, traders said that if Iran was close to capacity, the country might not be able to make up for supply disruptions that have occurred in other regions—including Nigeria and Libya—recently and which have already helped tighten the market and pushed oil prices up to about $50 per barrel. 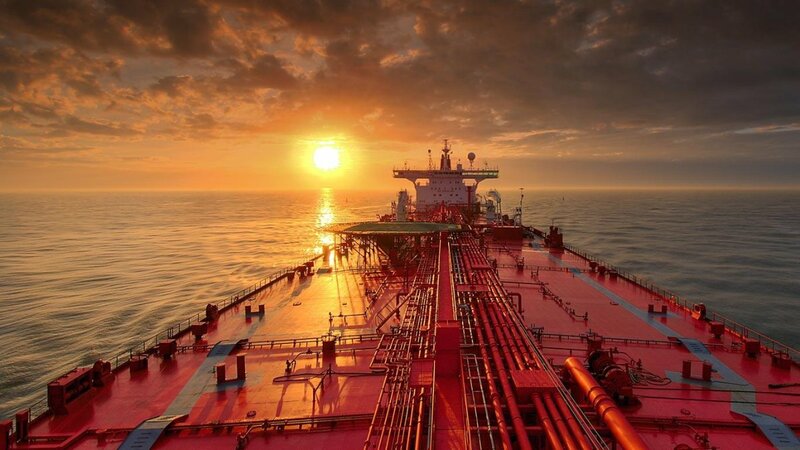 In April and May, Iran’s oil exports were between 2.1 and 2.3 million barrels per day, which is higher compared to exports at the same time last year when Iran was shut out of the European market and only dependent on restricted shipments to Asian buyers. The main destination for crude shipped by foreign vessels is Asia, with India, China, and Japan as the biggest buyers, but at least four international tankers are also heading for Europe. India, in particular, is taking a lead role as its demand surges and refiners like Essar Oil, Reliance Energy, Hindustan Petroleum Corp, and Bharat Petroleum Corp are on good terms with Iran. Meanwhile, the non-Iranian companies currently chartered to carry its oil include Chinese government -controlled shipper China Shipping Development, PetroVietnam and Japan’s Idemitsu Kosan. Greek, Turkish and Seychelle-owned tankers are also shipping Iranian crude. Receive News & Ratings Via Email - Enter your email address below to receive a concise daily summary of the latest news and analysts' ratings for with MarketBeat.com's FREE daily email newsletter. All rights reserved Fiscal Standard.com 2016.